It's Suzanne sneaking in today between all the usual awesomeness! 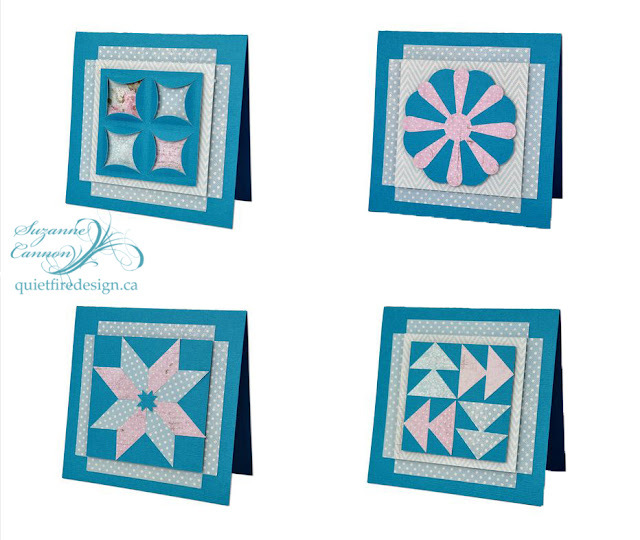 This week I released four quilt block cards over on the Silhouette store. I wanted to make the files simple to assemble with very few pieces and yet still have the look of a true quilt block. 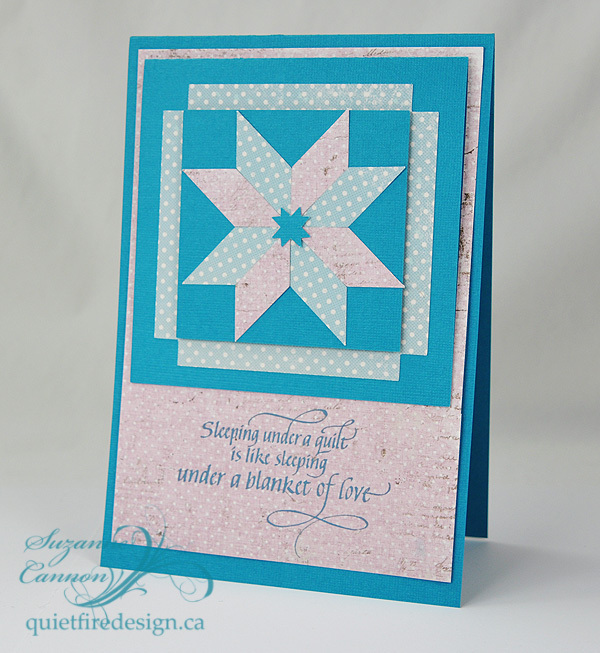 Here is an easy card I created using my Sleeping Under a Quilt stamp and the Star Quilt Block Card. Instead of making the cutfile cardbase, I assembled the quilt block on the front of a larger card with enough room to stamp the quote. Here are the four quilt block cards over on the Silhouette site. There is a Cathedral Window, a Dresden Plate, a Star and a Flying Geese Quilt Block. I used Maja Designs cardstock* and Core'dinations Atoll Aqua cardstock to create these and cut everything with the Silhouette Cameo. I have totally fallen in love with the Maja papers! 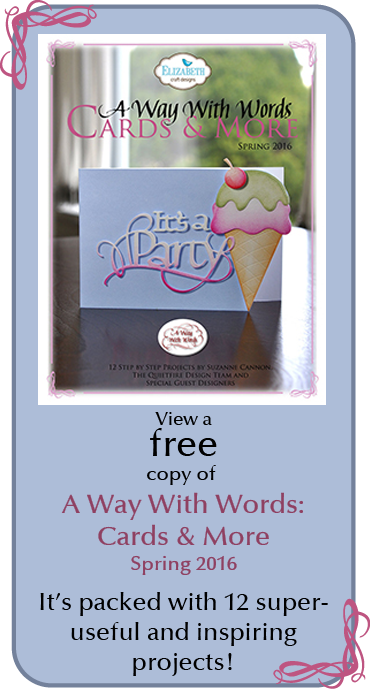 Your own cards could be in any colour pathway you wish - even more subtle than this or bright and beautiful. Each card measures 5x5", so you can enlarge them. For more detailed instructions (although they're so simple, you probably won't need them), see the file description. *If you're in Canada, I found mine at Scrap Addicts in Edmonton. Love! all goals met- I want to cut these out with fabric next! Thanks Suzanne! "I love you not only for what you are..."